Seamless Integration from Website to Blueprint OMS Schedule! This feature allows patients to schedule their own appointments online, with 24/7 access. Integrating online booking into a website is straightforward, and is done by adding a simple link, or a small piece of HTML code. Full instructions can be found here in the User Guide. The patient will start by indicating whether or not they are a new patient. 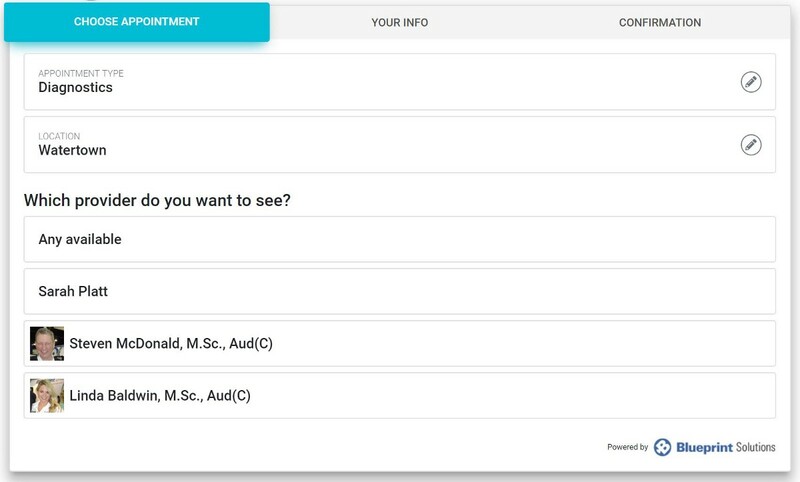 This will determine what appointment types are available to them. 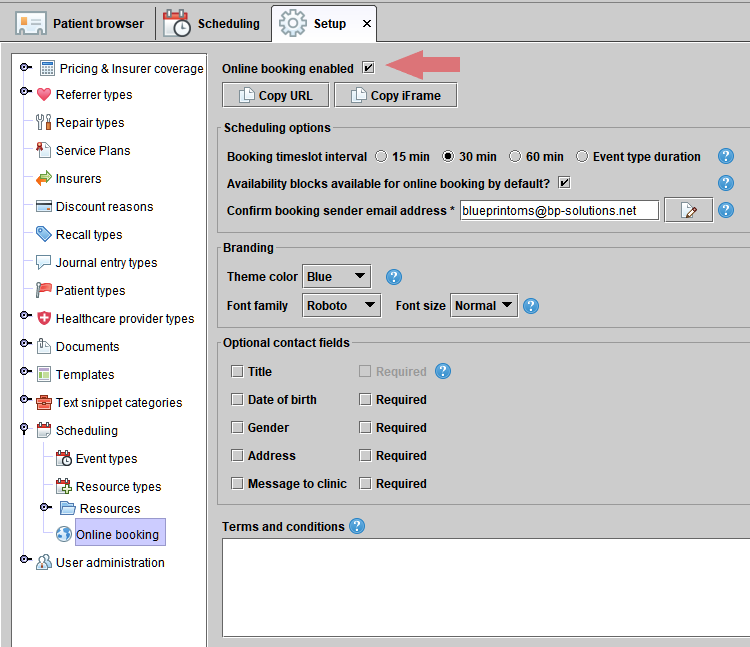 The available appointment types are configured in the Blueprint OMS Setup. The locations available for online booking are configured in the Blueprint OMS Setup. Provider photos will be shown if they have been configured under Setup> User Administration> Users in Blueprint OMS. For new patients, the selection will default to Any Available, with a clickable link allowing them to select a specific provider they may have been referred to. Lastly, the patient is able to view a providers calendar showing available times/days that the provider is available for the specific appointment type. 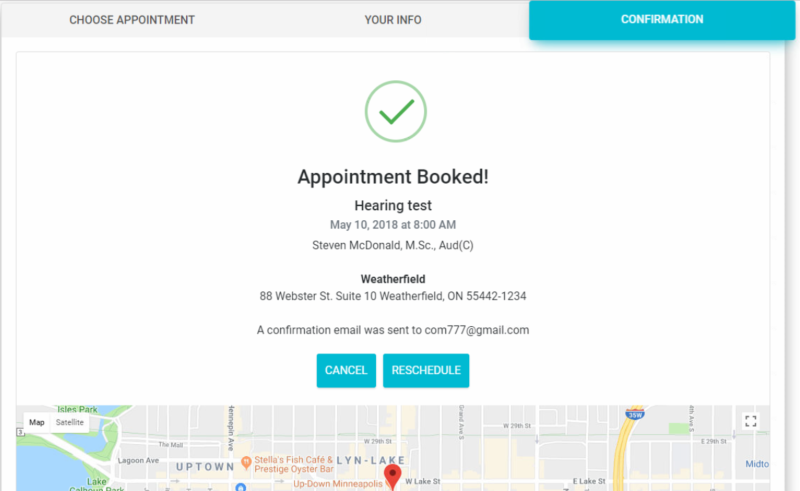 Upon completing a booking, the patient will receive a confirmation by email, which also contains links for cancelling or rescheduling the appointment. The patient will receive additional confirmation emails, if they cancel or reschedule their appointment online. Online bookings are indicated with a globe icon on the Blueprint OMS Scheduling Screen.